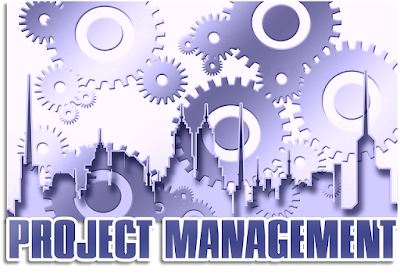 You must have visited the PMI website and checked out the information on different Project Management Professional (PMP) credential requirements. Also must have noticed that the exam process is lengthy and that the fee for the exam can be heavy for an entry level participant. Keeping all that to one side, you should have heard over and again that obtaining a PMP credential can enhance your career. So, what are these benefits that everyone keeps asking and talking about? Here are some to help you..
We are sure you must have gone through the process of obtaining the PMP Certification, you have a uniform/patterned knowledge set and the accreditation to prove it. While applying for a job against stiff competition, having the credentials in hand will put you ahead of those who do not. Since you have gone through the certification process, you will have learned a regulated/uniform set of project management best practices to execute in your own company projects. As per surveys by different institutions, PMP certified project managers receive an average starting salary of $90K/annum. Additionally, overall PMP credentials could gain you a 20% increase in salary over other project managers (without PMP credentials) with similar qualifications. Once you earn your PMP credential, you will be in touch with many others working hard to pass the PMP credential exam. Furthermore, you will be put in touch with those already holding PMP certifications. The benefit with networking, you never know who might help you obtain your next job? The more people you make contact with in your field, the easier it will be to find a job you want, when you have to move on. Since you now have the specialized training on how to get a PMP credential, you will be in a better position to help and teach others the tools of project management. Let's face the truth upfront, we have all had teams… that for whatever reason did not work together as a cohesive group. Once you get a PMP certification, the advantage is that…. you will learn important skills that will in turn help you to evaluate whether or not that potential team member will be able to work well with everyone. Just like any other profession, project management is a field with some great job opportunities only available to those with PMP certification. In fact, there are about 20% more openings available than the number of employees with credentials - that sounds GREAT, isn’t it? You will have more efficient projects because having a PMP certification hands you a set of tools to utilize in building them. You can improve the efficiency and productivity in all your project experiences. Since you will be working under various situations you may not be familiar with in your own work environment, this will help gain experience on how to solve complex and diverse project problems. Are you looking to make a career switch?? PMP credentials can help you to do that. By gaining a credential where you might lack years of experience, you can now start at the gates with a higher position and hike in salary than you would have been capable of otherwise. Having said all that, just getting that PMP certification will not be the easiest thing you will do in your career. It will challenge you in a good way. It will help you gain self-confidence, knowledge and network connections you may not otherwise have.